Depending on who’s talking, cannabidiol is either a revolutionary health treatment or an unproven supplement that needs more testing. Increasingly, states and cities are going one step farther by banning foods and drinks that include the extract. The pushback against cannabidiol, or CBD, comes amid a rapid rise in the number of products touting the ingredient, which comes from cannabis plants but don’t give users a high. Consumers are flocking to CBD products because of promises that the chemical compound can help with everything from chronic pain to better sleep. The ingredient got a boost last year when an agricultural bill legalized hemp — from which CBD is derived — allowing farmers to cultivate a once-banned crop. So if hemp is legal, what’s the pushback about? New York City is among the localities banning edibles with CBD, with its health department recently telling CBS New York that the compound hasn’t been approved as a food additive. 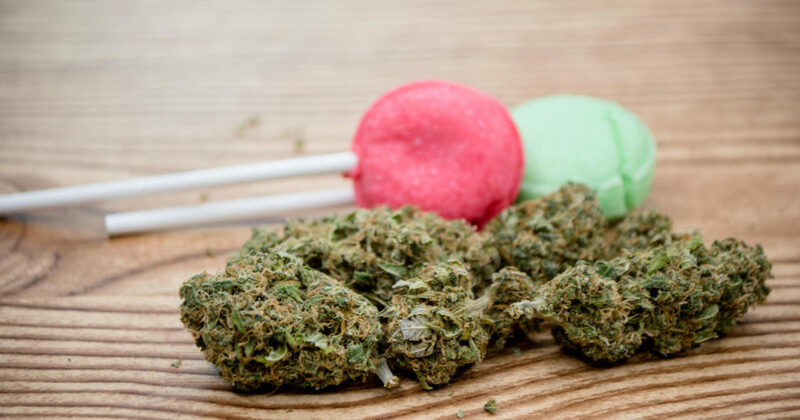 In Ohio, regulators earlier this month pulled food products with CBD from shelves, while North Carolina and Maine have also cracked down on cannabidiol-infused foods. The U.S. Food and Drug Administration in December said it’s “concerned” about the health claims for some products that haven’t been approved by the agency. The federal watchdog also noted that it’s illegal to market CBD products as dietary supplements, even if they comes from hemp. That may harsh the mellow of an industry that’s expected to reach $2.1 billion by 2020, an almost 10-fold jump from 2017. The pushback from regulators may be warranted, say some executives who run CBD businesses. Weissman said his company, which also makes products such as tinctures and lotions, tests the CBD in a lab to measure its dosage and to test for heavy metals, which can be absorbed by cannabis plants. But customers at a restaurant may not know how much CBD is in the dish they just ordered, where the compound came from or even if a dish actually contains CBD. Those concerns are echoed by Dave Briskie, president of HempFX, which sells hemp products to consumers. Consumers who are tempted to order CBD-infused foods or drinks should ask their server how much cannabidiol is in the dish, as well as where it was produced and whether they perform lab testing on the products, Weissman and Briskie recommended.